Next time someone sticks their tongue out at you, grab it and take a good long look. Not only will this scare the heck out of them, you’ll be getting an up-close and personal transcript of their health records. A growing body of evidence suggests that not only are our tongues good for tasting, moving bits of food around our mouths and projecting our disdain or defiance to the world, they’re also an efficient way to get a heads-up on what’s ailing you. There’s probably been at least a few occasions in your life where you’ve seen something weird on your tongue while brushing your teeth before bed. Chances are you took a good long look, thought “that’s weird, I wonder what caused that,” shrugged, and thought nothing more of it. 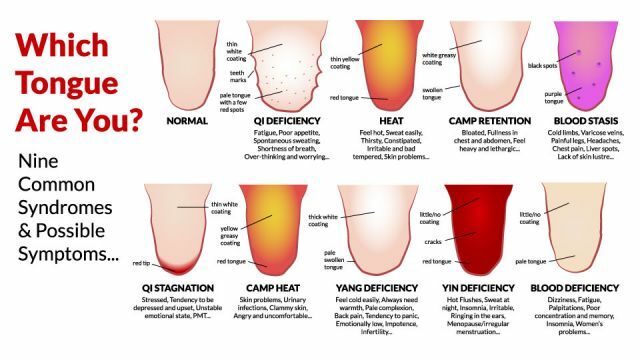 But far from being just an inconsequential curiosity, variations in the color and texture of your tongue can actually provide an important glimpse into the state of your health. When you know what to look for, these variations can provide a clue as to whether you’re healthy or suffering from a serious condition which needs to be addressed. Such conditions can include diabetes, vitamin deficiencies, tooth or gum decay, or yeast infections. We’ve put together the seven most important signs to look out for on your tongue, and what they mean in tongue-talk. Hey Buddy!, I found this information for you: "7 Secret Things Your Tongue Is Trying To Tell You". Here is the website link: https://www.thealternativedaily.com/7-secret-things-your-tongue-is-trying-to-tell-you/. Thank you.